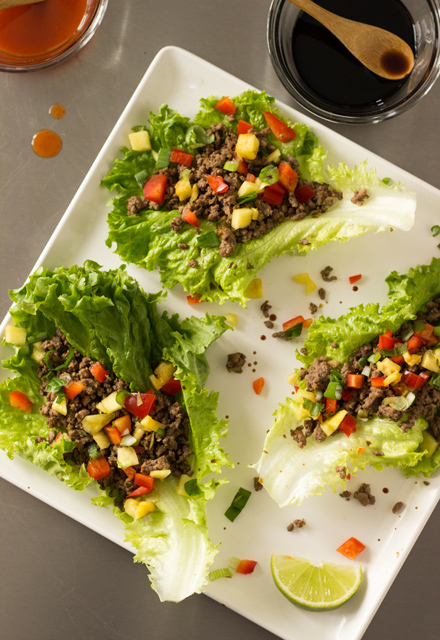 The Cook-a-Palooza Experience: Thai-Style Beef and Pineapple Lettuce Wraps: Healthy way to fill the mid-week meal gap! 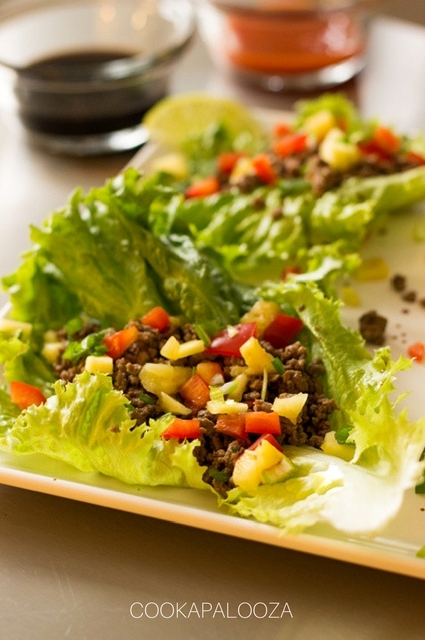 Thai-Style Beef and Pineapple Lettuce Wraps: Healthy way to fill the mid-week meal gap! I had mediocre expectations, before I prepared these Thai Lettuce Wraps, because I usually have so-so success at cooking Thai cuisine at home. I’m much better at ordering Thai food! But I'm happy I gave them a whirl because they are so tasty, and super simple to prepare! To make this Thai Lettuce Wraps more manageable to make midweek, I chopped the green onions, diced the bell pepper, and washed the lettuce the night before. How do these lettuce wraps taste? Well, let’s just say I feel like I’ve totally redeemed myself when it comes to cooking Thai food at home. The beef filling is full of legit Thai flavors!!! However, when my two kids see these Thai-Style Lettuce Wraps, they see too many colorful toppings so they pass on eating them. That’s okay with me though, because every so often the guy who cooks the meals in this house (hi!) needs to fill the void with foods and flavors I like too! Enjoy! 1. In a wok or skillet, cook ground meat over medium-high heat. Halfway through cooking, drain excess fat and stir in white parts of green onion, ginger, garlic, and cilantro stalks. Continue to cook until ground meat is fully cooked and no longer pink. Remove from heat. Add soy sauce, lime juice, sugar and fish sauce (if using). Stir, cover with lid to keep warm, and set aside. 2. To serve, spoon desired amount of meat mixture in the middle of a lettuce leaf. Sprinkle on toppings, and lightly drizzle with extra soy sauce or hot sauce. Wrap lettuce around meat mixture and toppings. Enjoy! Hi, Brent here! 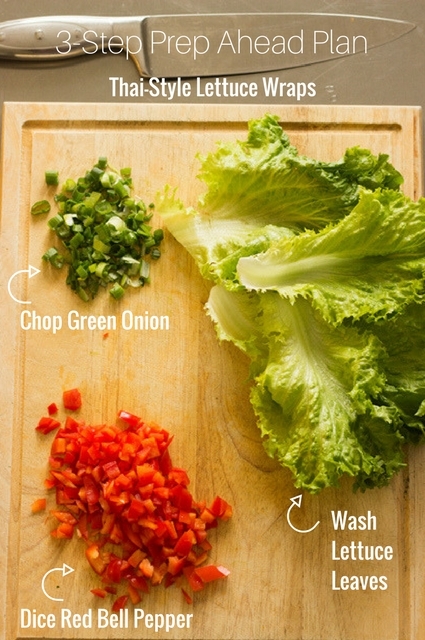 Thank you for checking out my recipe for Thai-Style Lettuce Wraps. 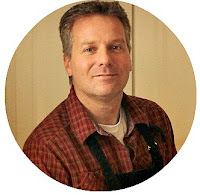 I look forward to getting your thoughts on this dish and furthering our food conversation in the comments! Cheers!